Jennifer Grove has been selected to serve as vice president of external relations for Baptist Health Care effective January 7, 2019. She will provide leadership in developing and maintaining external relationships with community, government, media, philanthropic, faith-based and other organizations that are essential to the success of Baptist’s Vision to be the trusted partner to improve the quality of life for the communities it serves. She will be responsible for the direction and operations of corporate marketing, governmental relations, Baptist Health Care Foundation and Faith Health Network. Grove joins Baptist from The Southern Company where she worked for more than 25 years, most recently in the role of Gulf Power’s community development manager. She was responsible for leading Gulf Power’s engagement in partnerships that grow Northwest Florida’s competitiveness and create pathways to prosperity for residents. Jennifer provided leadership for programs in the areas of employee engagement, corporate philanthropy, education and workforce development as well as regional partner, industry and entrepreneurship support. Grove was recognized for her role in science, technology, engineering and mathematics (STEM) talent development in 2012 by US News and World Report as one of the Top 100 Women in STEM. Grove earned a Master of Science in organizational communication from Purdue University in Lafayette, Indiana and bachelors’ degrees in political science and communications from Birmingham-Southern College, in Birmingham, Alabama. Grove serves on boards for state and local organizations, including Leadership Florida, Florida Education Foundation, Florida College Access Network, Florida Chamber Business Alliance for Early Learning, ECARE (Every Child A Reader in Escambia County) and Global Connections to Employment. She is deeply engaged in Achieve Escambia, a cradle to career education effort in the Pensacola area. 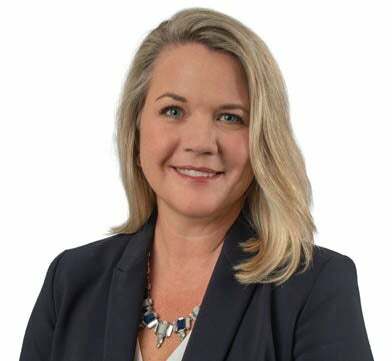 Jennifer recently completed two terms as a governor appointed board member of CareerSource Florida, the state workforce investment board, where she served as chair of the Strategic Policy Council. She is a graduate of Leadership Florida Class XXXIII.